Oh my goodness, these are so good. Since the pork meatballs are baked, not fried, they stay moist and delicious. The sweet and sour sauce adds just the right amount of sweet and tart; serve this any night of the week you want something fast and easy to prepare. *Options - Add crushed Dole pineapple, Dole pineapple pieces, and/or diced bell pepper and onion as desired. Preheat oven to 350 degrees. 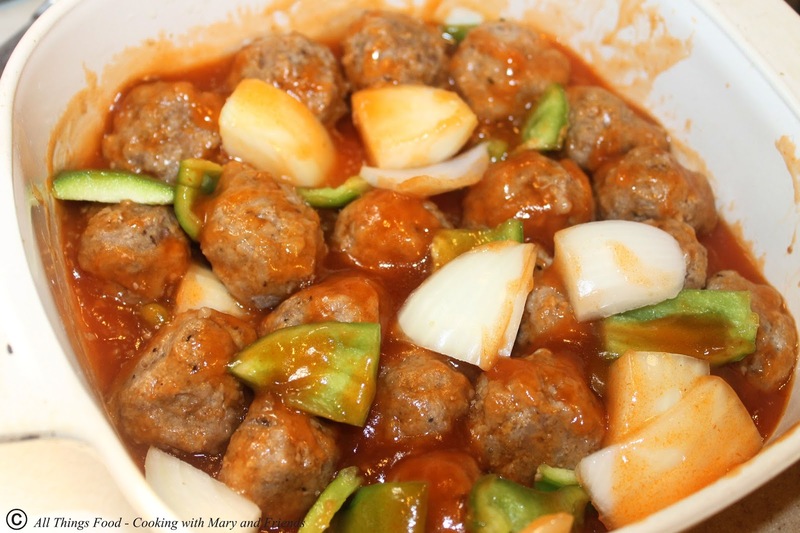 Mix all ingredients for pork meatballs together in a mixing bowl. Shape into small meatballs and place in a 9 x 9-inch baking dish, sprayed with cooking spray. Bake in 350 oven 15 minutes or until cooked through. Remove from oven and drain any grease from meatballs, returning meatballs to baking dish, and set aside. Make Sweet and Sour Sauce: combine all ingredients in a small saucepan, heat to boiling over low heat, stirring to prevent sticking. Sauce thickens as it cooks. Remove from heat, cover and keep warm. Note - sauce stores well in the refrigerator for several weeks. 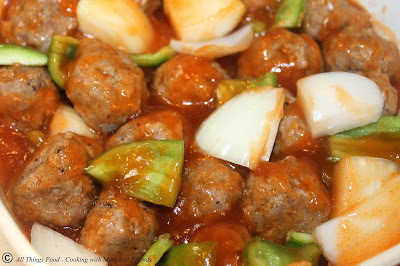 To finish: Spoon about half the sweet and sour sauce over drained meatballs. Add large pieces of cut bell pepper, onion and pineapple chunks if desired, stirring once to coat meatballs. Bake covered in 350 oven 15-20 minutes or until cooked and heated throughout. 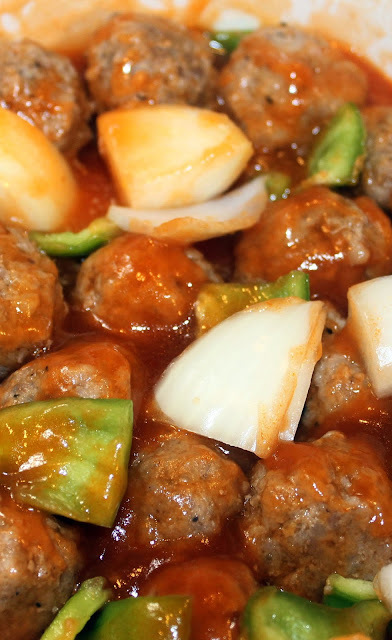 Remove from oven and serve meatballs over hot steamed rice topped with additional sweet and sour sauce.